PLEASE! Protect your children and/or neighbor’s children. Secure your #pool. 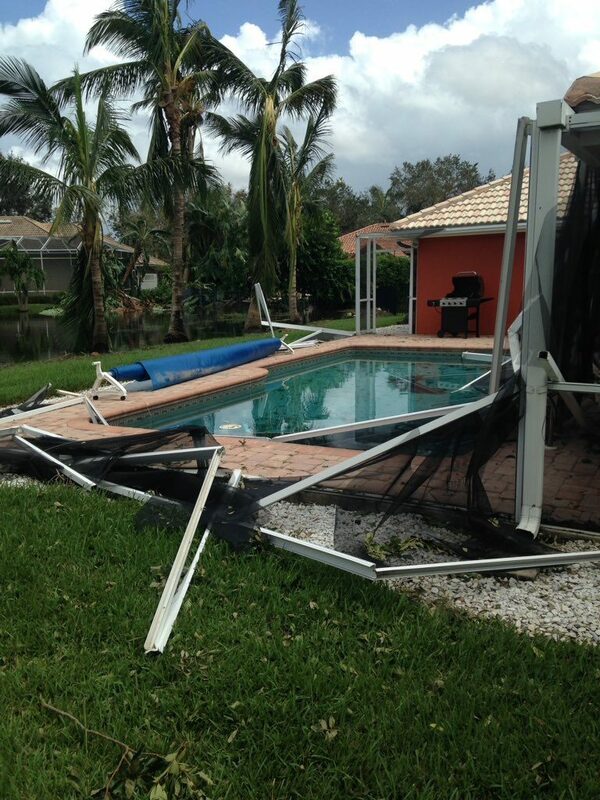 Many pool cages and fences were destroyed by #Irma. In 2004 and 2005 hurricane season people lost their pool cages/fences and many children drowned in unfenced pools. 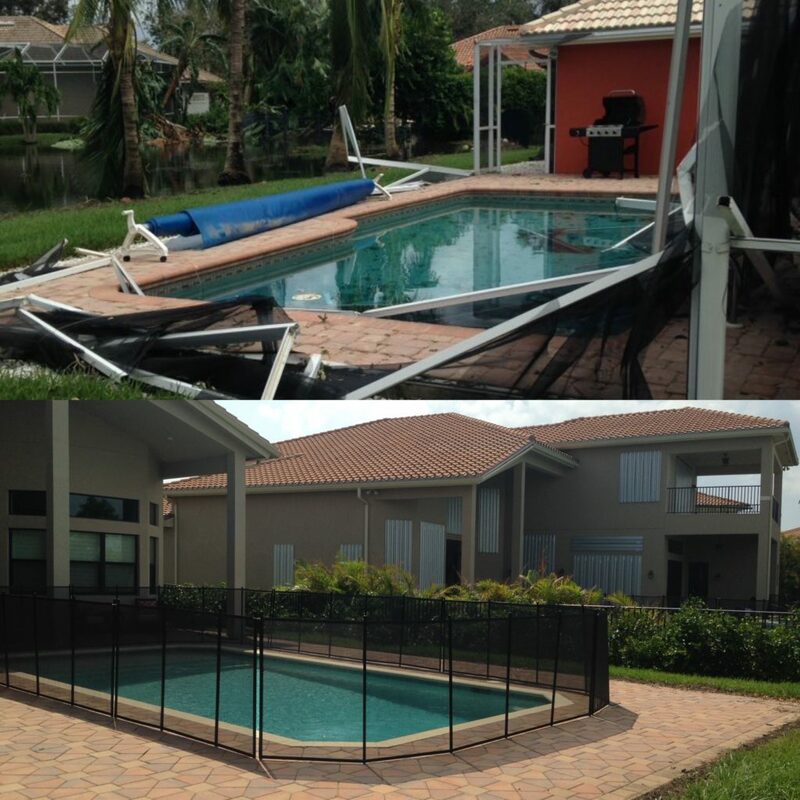 Collier County Code Enforcement team created this document – Pool Barrier/Screen Enclosure Repair and Replacement to help you understand your options and obligations. 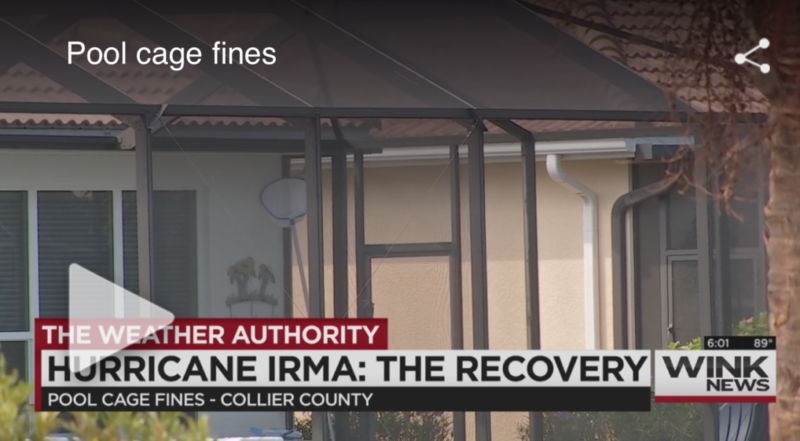 Permits for repairs of hurricane damage will be expedited. Call 239-252-2400 with any other questions. YOU MUST place TEMPORARY FENCING around your pool to prevent a drowning tragedy or injury. Also, you can implement other recommended Layers of Protection to prevent a drowning tragedy. Supervise – Don’t allow young children play outside if you don’t have an adult supervising. There Is No Substitute for Active Supervision! Actively supervise children in and around open bodies of water, giving them your undivided attention. Let your neighbors know the situation about your unfenced pool and encourage them to follow these layers of protection. Use Barriers – Call the pool/fence company* as son as you so they can place/fix the cage/fence. Install door/window alarms, we have them available please send us an e-mail at info@safehealthychildren.org, doors with alarms can prevent young children from wandering into the pool. Teach children NEVER SWIM ALONE. They must ALWAYS have an adult watching them whenever they are near the water. Know How to Respond – Get training in basic water rescue skills, first aid and CPR. Have rescue equipment and a phone by the pool.